How much does it cost to go to U of Wyoming? Few students will pay the full advertised sticker price of U of Wyoming. The Net Price is an estimate of how much the average student actually pays to attend college for one year. To calculate this number we take the total cost of attendance of University of Wyoming including tuition, fees, room, board and other expenses. Then we subtract out the average amount of aid awarded per student. What is the Average Net Price for All U of Wyoming Undergrads? The average student will pay a total net price of $13,867. Two important factors that affect the net price you will pay to attend University of Wyoming are where you will be living, either on-campus or off, and whether or not you will be receiving any grants or scholarships. $13,867 is the average net price across all students. Your price may differ depending on your family income level. The average net price of $13,867 is based on estimates from 2017. This number represents the overall average net price of all in-state undergraduate students, including those that did not receive any financial aid. 47% of freshman students paid in-state tuition. Of these in-state students, 95% received an average of $6,014 in grants and scholarships. This resulted in an average annual net price of $12,989 for on-campus students. Use the College Cost Estimator to get an idea of how much money you may have to spend out of pocket to attend U of Wyoming, and how many loans you may have to take on. 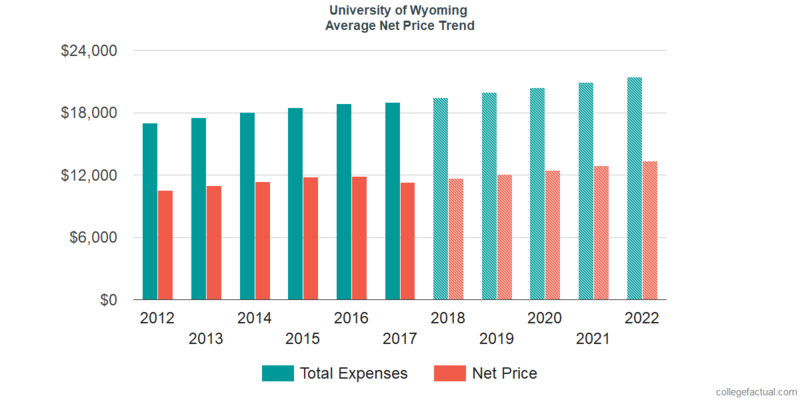 Over a period of six years, the average net price paid by all freshmen at University of Wyoming has increased by an average of 3.4% per year. 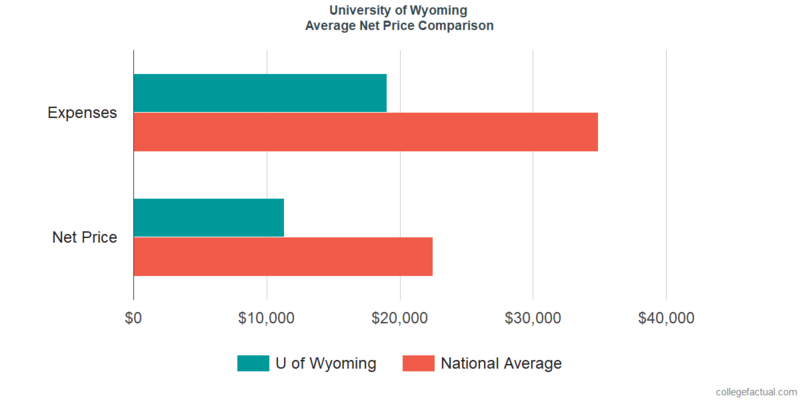 An overall average net price of $11,299 puts University of Wyoming well below the national average of $22,482.